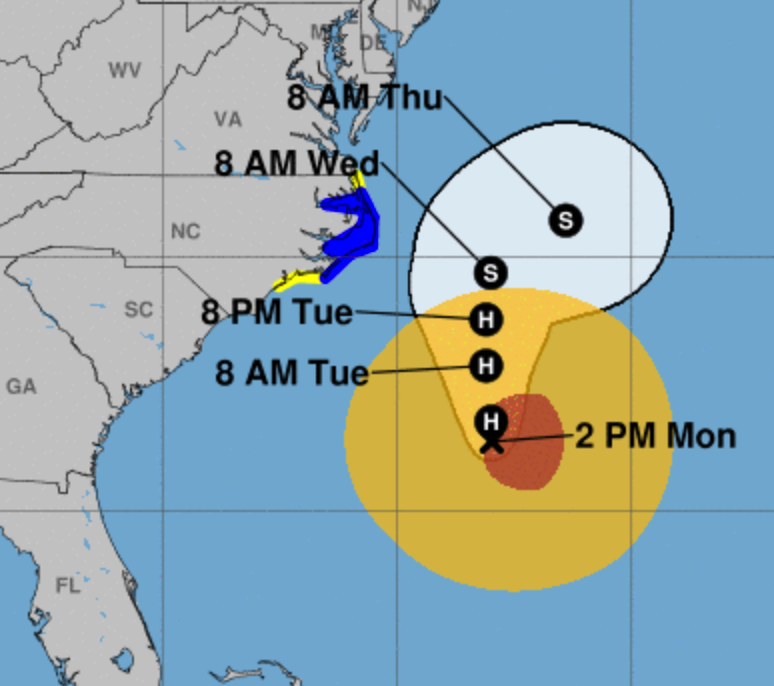 Here is the latest forecast path from NHC. The storm is going to make a quick right turn and head out to the open ocean. Brown is the hurricane force winds. The orange is tropical storm (40-74 mph) force winds. Tropical storm force winds will likely occur on the North Carolina Outer Banks. The center of the storm, as forecast, will stay well away from land.